I’m sure you have heard the terms “Mortgage Broker,” “Bank” and “Lender,” but do you know the difference? Do you know for which your loan officer or originator works? Do you know how to check on their background? I’m writing this article to clear up the confusion so you learn the difference and the advantages of working with a Reverse Mortgage Broker. A mortgage broker is a company in the mortgage business who works with various lenders but does not loan the money. Sometimes referred to as an originating lender. A Bank or Federal Insured Depositary Institution will often have mortgage loan officers who are employed by the bank and offer only the banks mortgage products, giving borrowers limited choices. A bank may choose to be FHA approved and offer the HUD insured reverse mortgage, the Home Equity Conversion Mortgage, often called a HECM. A lender is a company who lends money, but is not necessarily a bank. They too often employ loan officers who only offer their mortgage products (called their retail department) which has limited choices for borrowers. Lenders may also choose to be FHA licensed and offer the HECM. Banks and lenders may have a wholesale department where their reverse mortgage products are offered through approved mortgage brokers. Not all mortgage brokers can offer reverse mortgages. 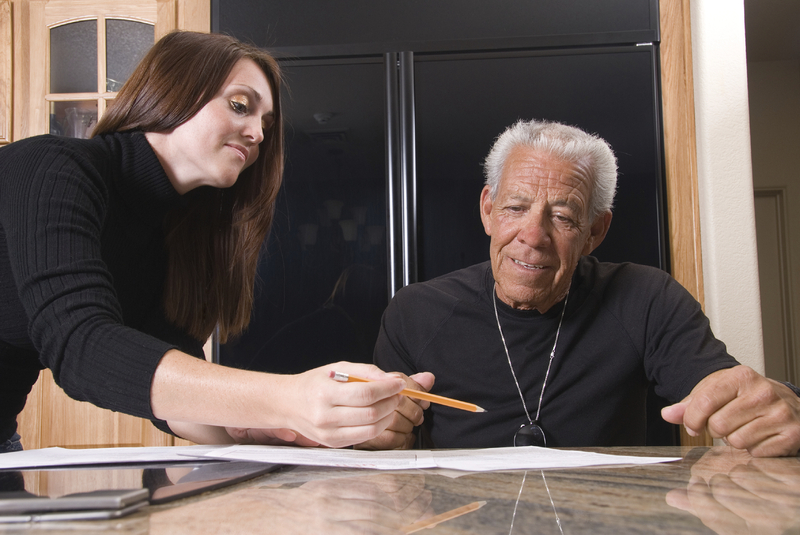 To offer reverse mortgages the loan officer’s company must be approved by an FHA approved lender. Lenders will only approve mortgage brokers who meet certain criteria. Let’s look at why working with a reverse mortgage broker instead of a bank or lender’s retail loan officer has it’s advantages. Mortgage brokers often work with more than one lender which allows the borrowers to have more options available to be in their best interest and work with the lender/servicing company with the best customer service. As of January 1, 2011 all mortgage brokers (reverse or traditional) are required to be licensed both at the Federal and State levels. This is managed through the National Mortgage Licensing System or NMLS. To meet the Federal Licensing requirements we needed to take 20 hours of education, pass a test (a very challenging one, I might add), pass Federal background checks, have our credit reports checked and be finger printed. Each state has their own licensing requirements. Minnesota required 20 hours of education and 8 hours continuing education each year. Lending practices and standards, ethics, and Real Estate Settlement Procedures Act (RESPA) regulations were covered in the education and on the test. The test focused on conventional lending products so those of us who only offer reverse mortgages had additional challenges to pass the tests. FDIC Bank and NCUA Credit Union originators do not have the licensing requirements so they have not received the education, passed the tests or gone through the same background checks. At some point the bank and credit union originators will be required to be registered . This will still not be the same as meeting the licensing requirements. Mortgage Brokers who provide you any information about your loan including various loan options and interest rates must be licensed. Mortgage Brokers are required to have their company and individual NMLS numbers on all marketing materials. In Minnesota the company NMLS number is identified as “MO” or Mortgage Originator. The individual is identified with their “MLO” or Mortgage Loan Originator number. If you don’t see these numbers on business cards and marketing materials including brochures, flyers, blogs, email signatures, presentations, etc. they are either not licensed or out of compliance. If they are authorized to conduct business. And which company they are authorized to represent. Where they worked in the past. Their company and branch license information. Banks and lender’s retail departments often have a phone/call center representative. Conversations and applications are often done over the phone and through the mail verses reverse mortgage brokers who often take time to meet with borrowers face-to-face in their own homes. This means one may receive more personal service from a reverse mortgage broker. Large bank institutions often have their eye on the bottom line by departmentalizing activities which forces loan officers to focus on just taking applications and not understanding all aspects of the reverse mortgage including the processing and servicing. My blog post, “They’ll Say Anything To Get An Application” points out a couple of these situations. I am proud to be a mortgage broker, MO #173899, to have passed my licensing requirements, MLO #342859, offer options that can be best for my borrowers as well as personal service. I have pride in having 100% customer satisfaction documented with our customer survey. Why Choose Reverse Mortgages SIDAC?